Tashkent will host Dance Music Fest for the first time at the summer venue of Turkiston Palace on June 30 and July 1, 2017. The organizer of the event is Art Uz Promotion Agency, which has been successfully organizing large-scale projects in the field of culture in Uzbekistan for many years. Special guests of the festival will be such world-famous musicians as Turkish DJ Burak Yeter and Russian DJs group Swanky Tunes. Each of them has already gained worldwide recognition and popularity. Musical compositions of Burak Yeter regularly get in and keep the leading positions in many world music charts for a long time. In 2016, Burak's track "Tuesday" was at the top of iTunes single-chart for more than six weeks in a row and became one of the most frequently downloaded and listened tracks in the world. Swanky Tunes became the first Russian producers to record the track "Make Some Noise" with Tiesto, one of the most titled DJs in the history of electronic dance music. This work rightfully became one of the most famous compositions of musicians, which brought them worldwide popularity. In addition, Swanky Tunes is one of the most sought-after DJs at the Miami Music Week conference 2012. For four days, Swanky played 11 DJ sets, including at the Ministry of Sound, Nikki Beach, Laidback Luke, Sebastian Ingrosso parties. The band has more than 50 singles and about 30 remixes. Summer venue of "Turkiston" Palace will bring together the brightest and most talented DJs from all over Uzbekistan. Special guests will personally select the best ones and together perform on stage. Those who will be among the lucky ones will be known directly during the festival. But one thing is certain: it will be fun, loud, incendiary and hot! The guarantee of successful development of our society is health of the younger generation. That's why one of the main goals and objectives of the festival is to introduce young people to the right healthy way of life, to attract the attention of young people to modern musical culture and also make a significant contribution to the development of domestic electronic music, and, of course, to discover new names. Whatever the expression of culture is, whether it is cinema, theater, music or dance - it unites. And modern culture also becomes an integral part of life of young people, influences the formation of the personality, habits, way of thinking of young people. 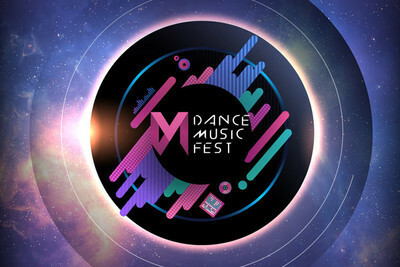 Dance Music Fest is a unique opportunity not only to see the geniuses of modern electronic music alive but also hear live performance of unforgettable tracks, get acquainted with the work of domestic DJs. Famous guests of Dance Music Fest may become a good example for young people and instill in them an interest in the versatility of modern music and live communication.